Once a baby has started eating solids, there is the need for the baby to get an adequate supply of all the nutrient types. The most common baby foods in Nigeria are cereal-based like pap/akamu/ogi and the processed ones like Cerelac, Nutrend etc. 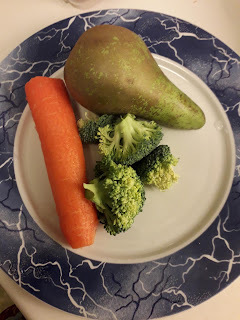 Babies also need nutrients found abundantly in fruits and vegetables so it is necessary that fruits and vegetables be incorporated into their diets. 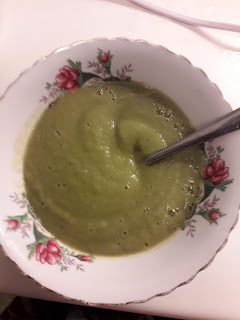 This vegetable puree not only has the advantage of having various nutrients due to the combination of broccoli, carrot and pear; it is easy to prepare and quite tasty. Most babies love purees containing any of the constituents of this particular puree. Carrots are rich in Vitamin A, B6, B12, Vitamin C, and several other nutrients needed for a baby's growth and development. Broccoli is rich in Vitamin C, Vitamin B6, Iron, Calcium and Magnesium. Pear has significant Vitamin C and dietary fibre content. 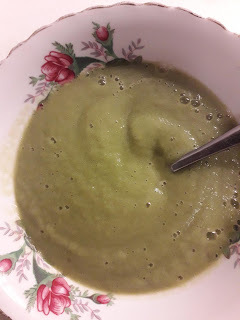 Basically, this puree is healthy and nutrient-packed for babies who have started eating solids. Cut the vegetables into small bits to enable them to cook fast and blend/mash easily. 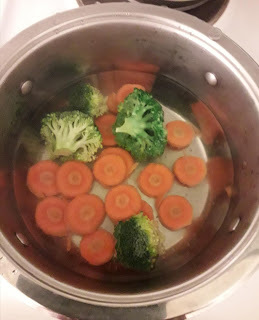 Put the broccoli and carrot in a pot of boiling water and allow to simmer for about 4 minutes. Do not cook the pear. 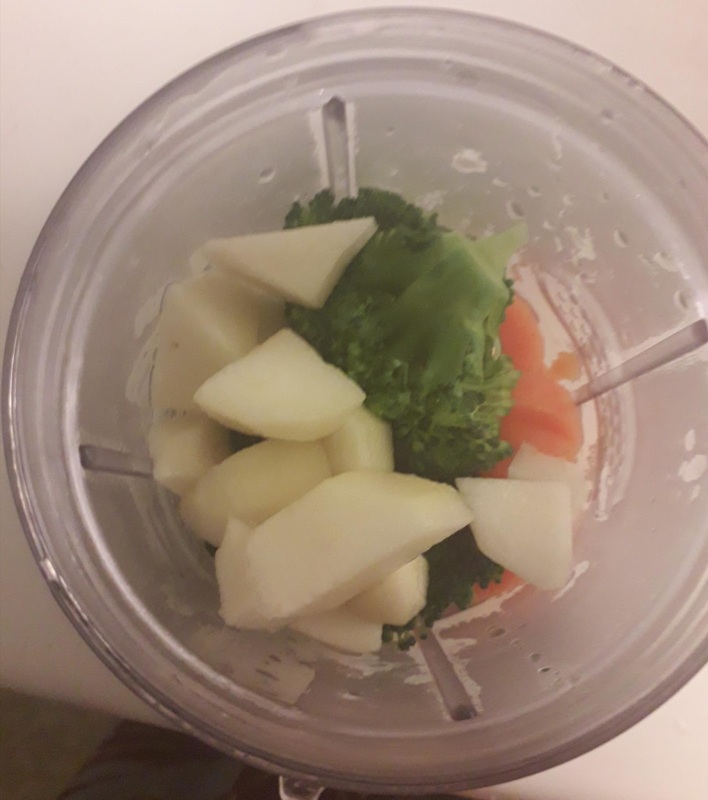 Put the cooked vegetables and the uncooked pear in a blender and blend with little water, or mash with whatever food-mashing tool you have. The water helps the blade of your blender move and also lightens the resulting puree. The older the baby, the less quantity of water should be used because older babies can handle thick purees. The water used in cooking the vegetables can be used in blending as it helps the vegetables stay warm. 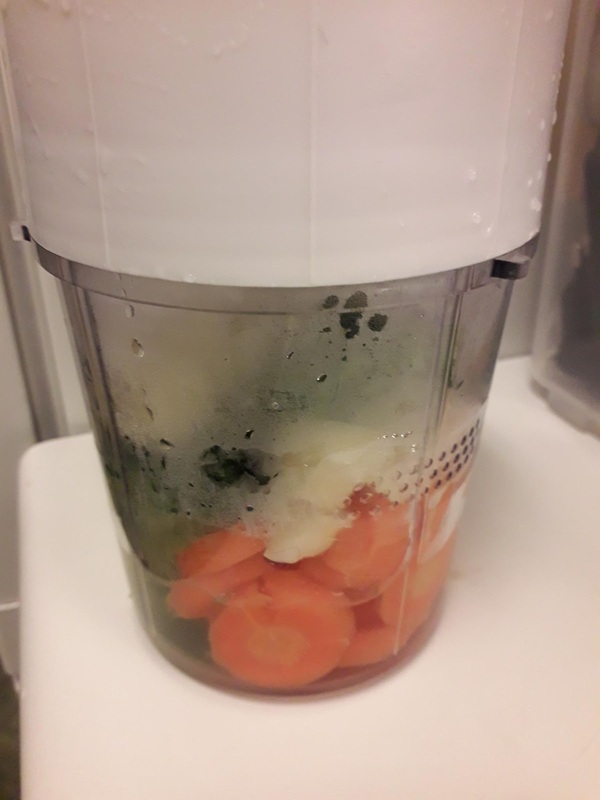 Your baby's vegetable puree is ready. You can serve with breastmilk, formula or just as it is. 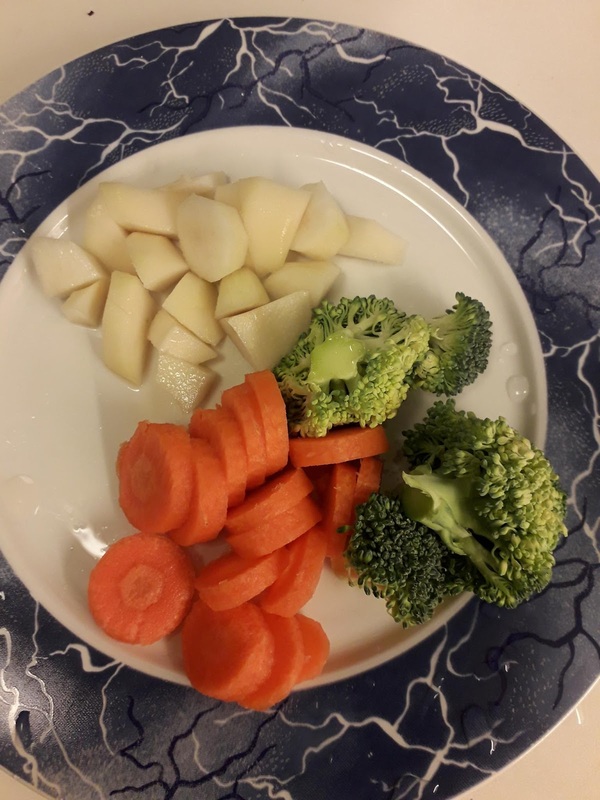 It is a nutritious and healthy meal for babies. Leftovers can be refrigerated or frozen for later use.